(kticradio.com) – The familiar African proverb says that when elephants fight, it is the grass that suffers. Unfortunately for America’s farmers, that grass is the wheat growing in their fields as the big guys in Washington, D.C., and Beijing escalate their trade fight. 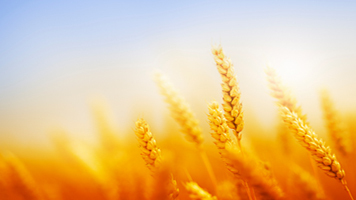 China’s state-run importing agency and private flour millers bought an average of more than 1.1 million metric tons of U.S. wheat the past five years because our farmers produce higher quality grain than China can grow on its own. Following the Trump Administration’s announcement of new tariffs on $50 billion of imported Chinese goods, China hit back with tariffs of its own, including a 25 percent tariff on U.S. wheat imports. In response, the White House is ordering trade officials to draw up a list of $200 billion worth of Chinese goods that would be hit with a 10 percent tariff on top of the 25 percent tariffs already promised. In a trade war, agriculture always gets hit first and the effects of these tariffs could prove devastating for farmers. No one in China will be hurt if the retaliatory U.S. wheat tariff is implemented. China has huge amounts of stored wheat and they can purchase what they need from Australia, Canada or even Kazakhstan, although Chinese consumers will miss the opportunity to experience higher quality products made from U.S. wheat. Instead, the outcome is likely to further erode the incomes of farm families who strongly support addressing the real concerns about China’s trade policies. According to the USDA, net cash wheat farm income is projected to be down more than 21 percent this year compared to last. U.S. wheat growers are not in the business of ceding a market like China that wants to buy their crop and could buy so much more of it. That is why in 2016, U.S. Wheat Associates (USW) and the National Association of Wheat Growers (NAWG) called for World Trade Organization (WTO) cases intended to push China to meet its WTO commitments on domestic support and tariff rate quota management. We are happy that the Trump Administration supports and is pursuing those cases. USW and NAWG know that farmers still want our organizations to keep fighting for fair opportunities to compete in China and other countries. They would prefer, however, to see our government do that first within the processes already in place. Instead, the Administration is doubling down on a tactical policy that makes an already risky business of agriculture even more volatile. Policies like the ones being proposed will only make times harder for farmers, and the Administration’s vague promises of protection for the farmers we represent offers little consolation. Our country’s continuing agricultural trade surplus is proof that America’s farmers can compete successfully in the world based on the quality and value of what they produce, given the freedom to do so.